Unfiltered Entertainment | Unfiltered Entertainment Inc.
Lincoln, NE: Blood Rites, Unfiltered Entertainment Inc.’s giallo-influenced horror feature, has received distribution through Kings of Horror, the largest horror film channel on YouTube. With over eight million views per month, Kings of Horror offers unlimited viewing of more than 250 horror movies. To receive this distribution deal, Unfiltered Entertainment employed marketing tactics that included casting actress Christina Marie Leonard (Riley Rewind, Non-Stop to ComicCon, Blood Sucka Jones 2) in the role of “Diz” and partnering with distribution company Eagle One Media to represent Blood Rites across digital and physical revenue platforms. 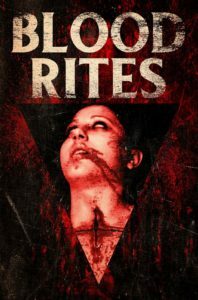 Watch Blood Rites on Kings of Horror today!